The company’s revenue in fiscal 2015 totaled $3.15 billion, which represents a 32% gain over the previous year. Skechers’ recent success can be attributed in part to consumers’ growing preferences for comfortable, stylish shoes over basketball sneakers, according to a new report from Morgan Stanley. Skechers’ focus on comfort and walking over running has helped the company surpass Adidas to become the second-biggest sports footwear company in the US, behind Nike, according to NPD data cited by The Wall Street Journal. 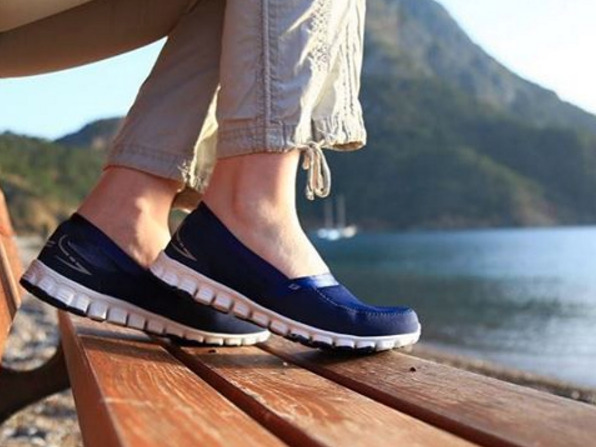 Skechers has other opportunities for growth and success, according to the Morgan Stanley analysts. The company is adding distribution centres overseas to prepare for international expansion. And while unseasonably cool summer weather has been straining many other footwear companies, forcing them to rack up excess sandal inventory, Skechers’ inventory has remained at healthy levels, the analysts write. The company is also trying to gain more traction with teens, a valuable demographic that many other retailers are trying to attract. Pop star Demi Lovato has a line for the company, and she’s been appearing in commercials for the brand. But analysts warned that there could be some risks for Skechers. Sports Authority liquidating all of its stores could impact the brand, for example, since Skechers shoes are sold there. And it continues to face stiff competition in the athletic footwear category from well-established brands such as Under Armour, Adidas, and Nike.